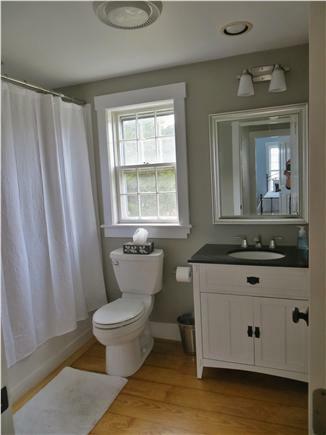 Recently renovated three bedroom, one and a half bath home in Naushop. 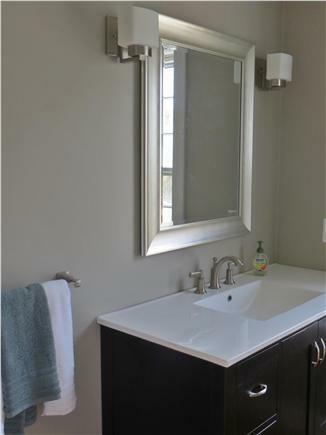 New kitchen and baths, refinished hardwood floors, interior freshly painted, all new furniture. First floor: Open kitchen/dining; familyroom with fireplace and flat screen/cable TV, half bath, French doors to patio and large, level back yard. New outdoor shower installed 2018. 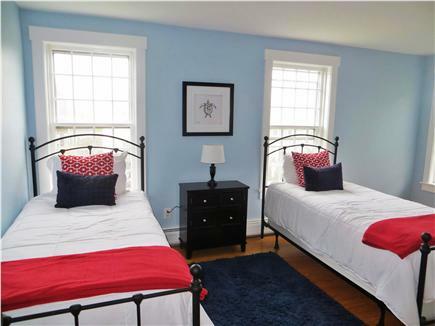 Second floor: Laundry room, Three bedrooms - one Queen and two with 2 twins each, one full bath with tub/shower. Use of community swimming pool, tennis courts and playground. Would give this 6 stars if we could. We had a terrific week in this home. 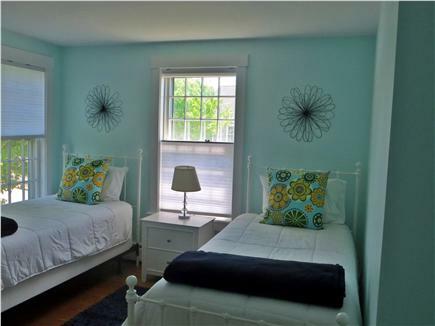 Very clean, comfortable and well cared for. The yard is perfectly flat with a great outdoor shower. Our kids could not have been happier, which made Mom and Dad happy as well. The pool/tennis/playground at the clubhouse was just what our kids needed each afternoon after spending the mornings at the beach. I would recommend this home without reservation. Also - working with the owner, Sue, was simple and easy. She is responsive and very helpful. 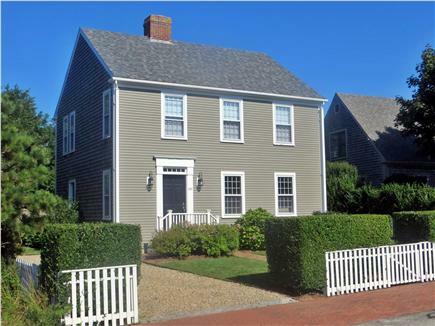 We rented for a week and really enjoyed our stay on Nantucket. The home was perfect for my family with three small kids 7, 4, and 2. We most enjoyed spending time in the back yard which was fenced in and safe for our kids to play. 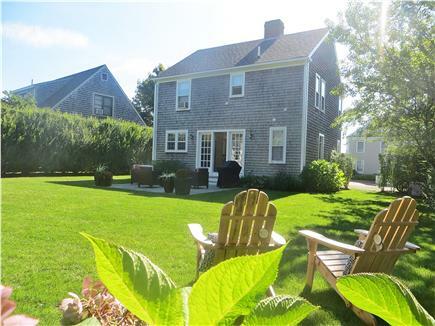 The home was well equipped with more than everything we needed to have a comfortable week on Nantucket. The only thing missing was a brush for the grill. This is our 2nd year staying in the Naushop house and everything worked out perfectly! The pool and tennis court access was a blast. 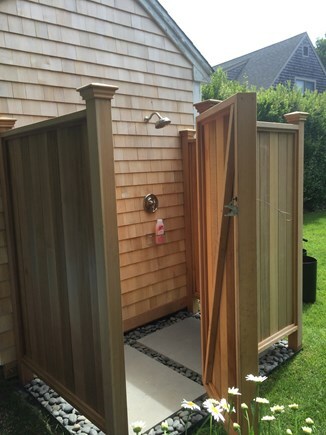 The outdoor shower is amazing and such a great way to clean off after a day at the beach. Sue does a great job communicating details about the property and was able to answer any questions we had. Thanks for another great year! Nice rental. The home is clean, uncluttered and comfortable. The backyard is lovely for relaxing and reading a book on the hammock. 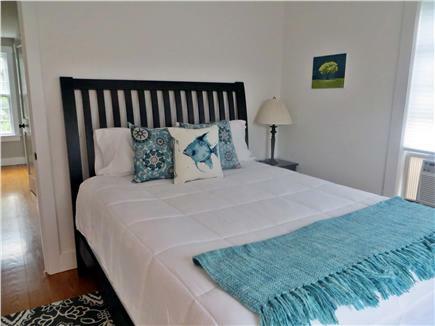 Owner provides beach, pool and tennis accessories, so you can leave your stuff at home. 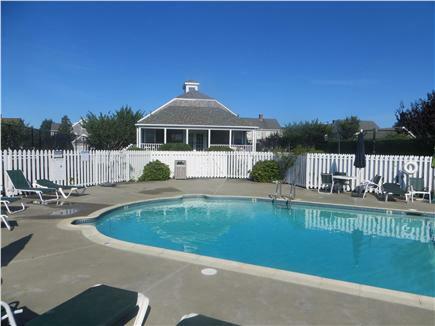 Great central location, and you can enjoy the Community pool when it's not a particularly good beach day. 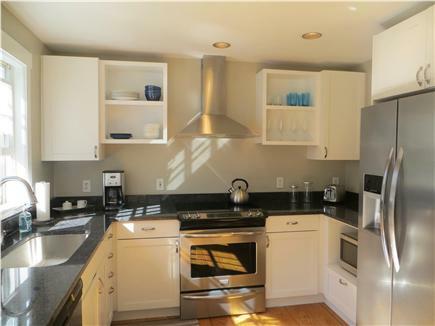 The area is quiet and well maintained, neighbors are friendly. If you don't have a vehicle there is "The Wave" that will pick you up nearby and drive you to numerous spots on the island. Our stay at Sue's property was fantastic! The location was perfect for biking to the airport diner, into town and the beach! The backyard was so relaxing and just perfect to hang out in after a day at the beach. The pool and tennis courts were perfect for the kids to enjoy every afternoon. Sue was great to work with and made our stay on Nantucket just perfect. We, a group of ladies from Atlanta, had a fabulous time at this lovely home. Great space, host, and location. Sue was so easy to work with and helpful! I can't wait to return. We loved Surfside - an easy bike ride - and town wasn't far at all either.